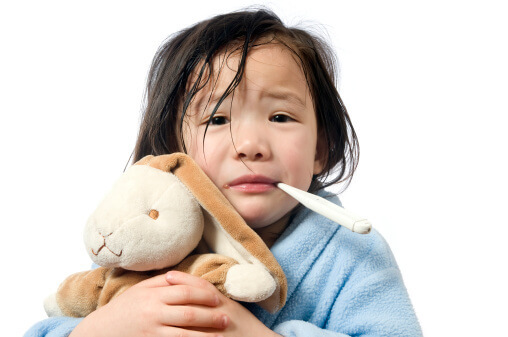 How can you tell the difference between cold and flu? Some of the symptoms are the same congested, tired, feverish. That leads people to ask, “is it just a cold or is it flu?” Despite the similarities, the timing and intensity of symptoms is different. It’s no surprise there’s confusion in the two because over the counter medicines are lumped together in the “cold and flu” aisle with bold claims of help for those suffering from a cold or the flu. Since the two illnesses share some similar symptoms, and both come during “cold and flu season,” the two often run together in people’s minds. We have a vague idea that they are different, but if pressed, have a hard time saying exactly how. The symptoms we get during a viral illness are often the body’s attempt to get rid of the virus and to minimize damage. Sneezing ejects the virus from the nose, cough from the lungs and throat. Fever makes it difficult for the virus to reproduce. While colds and flus may overlap, the differences between them are important because flu is a much more serious condition than the common cold. I recorded this video with A.D.A.M. to give you information that will help you determine the difference between the two.